You will find the Hammer Stahl American Clad 4 qt. 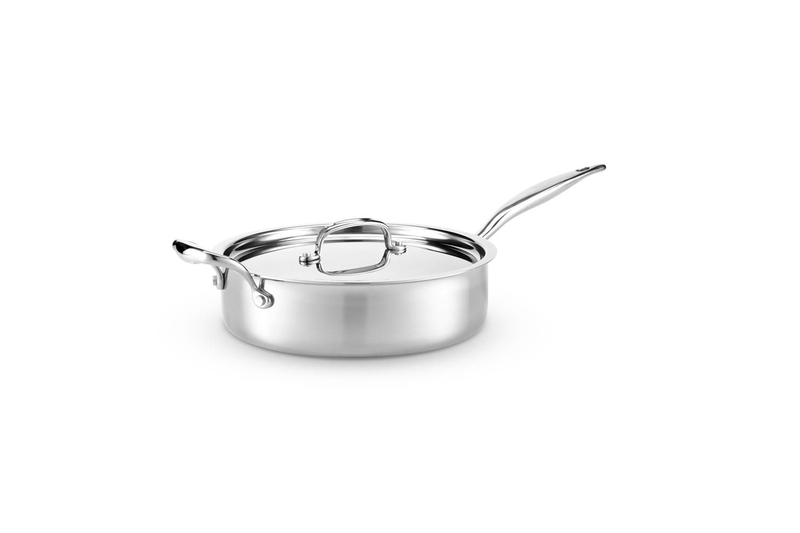 Sauté w/Lid to be one of the most useful pans in your kitchen. The key to this sauté pan is its large cooking area and long handle. So you can freely move food around the pan to ensure even cooking and browning. The straight sides are designed to hold additional liquids and ingredients, giving this pan the perfect shape for preparing chicken with wine or sautéed vegetables. Use this stainless sauté pan on a wide range of cook tops, including induction. Dimensions: 11 inches diameter x 3 inches high. Weight: 4 lbs. 4 ounces.